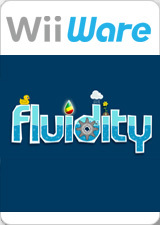 Fluidity, known as Hydroventure in Europe and Oceania, is a physics puzzle game developed by Curve Studios and published by Nintendo exclusively for WiiWare on the Wii video game console. The game focuses on controlling a small body of water that is utilized in its different states of matter to progress through the game's levels. This game has texture borders glitches with Intel HD Graphics in Direct3D11, solved by using anti-aliasing or OpenGL. Using Direct3D, notice the wood and other things. Text and button icons will be garbled unless Texture Cache Accuracy is set to Safe. Refer issue 10705. This is now set by default. The graph below charts the compatibility with Fluidity since Dolphin's 2.0 release, listing revisions only where a compatibility change occurred. 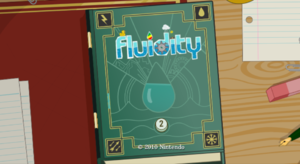 This page was last edited on 23 May 2018, at 13:45.